What: The Blazers are in Memphis to try to even the series against the Grizzlies. When: Wednesday, April 22 at 5 p.m. (PT). This series: Grizzlies lead, 1-0. Note: Coverage in Portland on CSNNW will begin with Rip City Live at 3:30 p.m. Following the game on KGW, CSNNW will air Talkin' Ball followed by Trail Blazers Pulse. 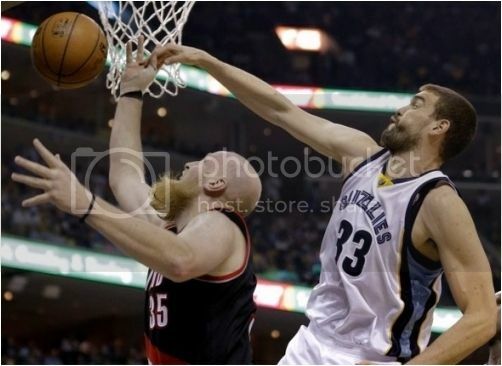 Pictured above: Blazers' Nicolas Batum; Grizzlies Beno Udrih. The Blazers finished 51-31 overall and 19-22 on the road this season. They averaged 102.8 points (8th in the NBA) and allowed 98.6 (8th). The Blazers won the Northwest Division title and earned the fourth seed in the Western Conference playoffs. The Grizzlies finished 55-27 overall and 31-10 at home this season. They averaged 98.3 points (17th in the NBA) and allowed 95.1 (2nd). The Grizzlies finished second in the Southwest Division and earned the fifth seed in the Western Conference playoffs. NOTE: For the playoff stats after game 1, we are not using minimums for the statistical leaders. However, if a player made 2-2 from the free throw line and another made 1-1, the player who made more and attempted more is listed as the leader. For the regular season, we use a different standard than the NBA for the individual regular season statistical leaders. Our leaders apply to players who have played half of their team's games (41), as well as other basic statistical minimums. Leaders who are listed as "out" due to injury are not listed. There is no other way to say it, Portland laid an egg in the first game. Lack of execution on both ends hurt the Blazers. You can criticize Aldridge for shooting 38.2 percent, but when he is the only one bringing offense for you for the majority of the game, you have to be happy with his 32 points in game one. He brought it on the defensive end too, blocking 4 shots to go with his 14 rebounds. Batum found a bit of a groove in the second half and will need to at least duplicate his 15 points, 7 rebounds and 4 assists in order for the Blazers to win. Lillard will most certainly have to improve on his 5-21 shooting in order to even the series. Afflalo is projected to be back and that should in the least make the Blazers deeper, though I expect him to start. Kaman had a strong showing in game one and I do not think we should think anything different in this game. Leonard was effective with 9 rebounds. He should see a good run. McCollum is going to have to do better than the 1-8 he shot from the field in the first game. Crabbe was solid, hitting all three of his shots and coming away with two steals. Memphis looked like a team which should have won its division. The Grizzlies got out to a quick, early lead, then never let up. Their bench outscored the Blazers bench, 33-21, 20 of those points came from Udrih. The backup guard has given the Blazers problems all season and game one was certainly no exception. Not only did he score 20 off the bench, he had a co-team high 7 assists. With Conley, Allen and Green hobbled, the Grizzlies needed someone to step up and Udrih was the guy. The Blazers will need to find a way to slow him down in order to get the upper hand in this game. Gasol and Randolph had serviceable nights, but both proved that they can have their moments. They each may be in store for bigger outings in game 2. In addition to his 15 points and 11 rebounds, Gasol also had 7 assists. Conley didn't have the dimes we are accustomed to seeing, but he played some great defense on Lillard and scored 26 points in just 24 minutes. Lee did his job; hit a couple of threes and played some great defense. Allen was active and should be again, especially on defense. . Speed up the tempo, keep Randolph off the boards and shoot at least 46 percent from the field. Damian Lillard vs. Mike Conley. Blazers coach Terry Stotts on Udrih: "He did a little bit of everything. He's an NBA player. He's been here a long time, and he's effective. Grizzlies coach David Joerger: "We tried to show Damian Lillard and LaMarcus Aldridge a lot of crowds and had people in front of them as much as possible trying to make it frustrating,"
A little hard criticism from Yeseeka on Trail Blazers pulse regarding Damian Lillard's performance in game one. Also seen is CSNNW's tweet regarding Lillard's shooting at a point in the third quarter. we've got to throw out the tape of the first game and practically start from scratch. hopefully Arron is up to playing. they just tweeted a little earlier than he's still not comfortable taking threes. that's not a great sign. we've got a chance, but it's going to take a full game to do it. This game is going to be rough. We need to get off to a much better start than we got in the first game. it's been changed in the preview, but the injury updates are that Arron Afflalo won't be back for game 2. also, Chris Kaman twisted his ankle in tuesday's practice and also will be out for game 2. both players are reportedly hopeful for saturday's game 3 in Portland. We can win this. 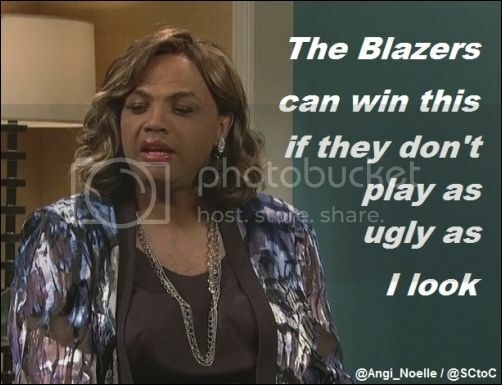 Play hard Blazers! Hey guys. I'm with you until halftime. I have a lab tonight at 7. Crabbe will start. CJ will come off the bench. the changes to the preview have been made. Finally. 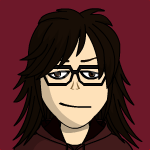 Show them what you can do, Allen! No Afflalo or Kaman. Looks like we are going home 0-2......just can't catch a break. i'm a little ticked that they didn't release anything on Kaman's injury until an hour before the game. this organization is absolutely NON-fan friendly. Tony Allen starting for Jeff Green for Memphis. Allen is generally in the starting lineup anyway. quick foul on Gasol. we've got to attack him and draw another one.